St. Olaf College is one of few U.S. higher education institutions where students can study Norwegian to complete their foreign language requirement and also be able to further develop their knowledge of Norwegian language, literature, culture, and history. Study abroad in Norway, read literature by such authors as Henrik Ibsen, Knut Hamsun and Jo Nesbø. The study of Norwegian opens the door to another culture and worldview and also helps to develop skills in communication, research, analytical thinking, and writing that are essential in a wide range of careers. Former students report time and again that a knowledge of Norwegian is a rare and appealing skill that gives them an edge over other graduates. Norwegian also enables many students to explore their cultural heritage, and encourages contact with relatives and friends in Norway. Enrich your study of Norwegian with a summer, semester, or year abroad. 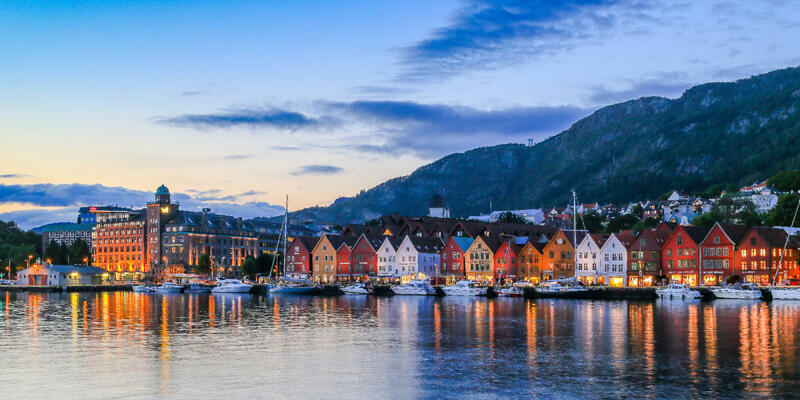 Gain valuable cultural experience with an internship in Norway during Interim or over the summer. Attend the Norwegian Culture and Conversation Table, film screenings, and other department events to connect your studies with your fellow students! Apply for scholarships to study abroad, undertake an original research project, or spend the summer in Norway. Scholarships exclusive to St. Olaf students are available, as well as general scholarships. Concentrate in Nordic Studies to delve deeply into the history, literature, societies, and cultures of the Nordic countries. Want to keep pursuing Norwegian after St. Olaf? Learn more about non-degree post-graduate opportunities and graduate programs in Norwegian and Nordic Studies.